In a remote valley in the Lake District, Swindale Beck has just been moved. 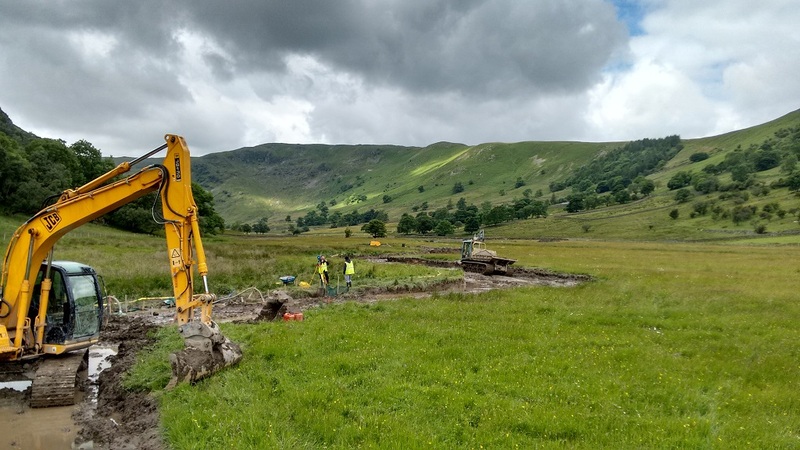 In an exciting project that benefits both people and wildlife, Natural England, the RSPB, the Environment Agency and United Utilities have been working together to put the beck back to something like its original, bendy course. Over the years, gravel had been dug out from the straightened channel and used to raise the height of the banks. Some of the time this stopped the river from spilling out onto the meadows - instead it caused the water to shoot rapidly downstream, contributing to issues of flooding downstream. Several times a year, the water would reach a level where it would flow over the banks, where it then stayed unable to get back into the river channel. This left soggy, stagnant pools. Gravel gradually built up within the banks, making the river level higher than the meadows, making it more likely to erode the banks and spill out onto the fields. An exciting collaborative project has now put the bends back into Swindale Beck, and removed its raised banks. This allows the water to flood onto the meadows more easily which will slow the progress of water flowing down the valley and help reduce flooding downstream. The water will also flow back into the channel more gradually. The new bendy course is much longer than the old one, which will also slow down water flows. The river is also now able to “flex” gradually in its new channel. This reduces the risk of the banks eroding and failing during high flows. The straightened river also lacked the variety that is needed to support wildlife. 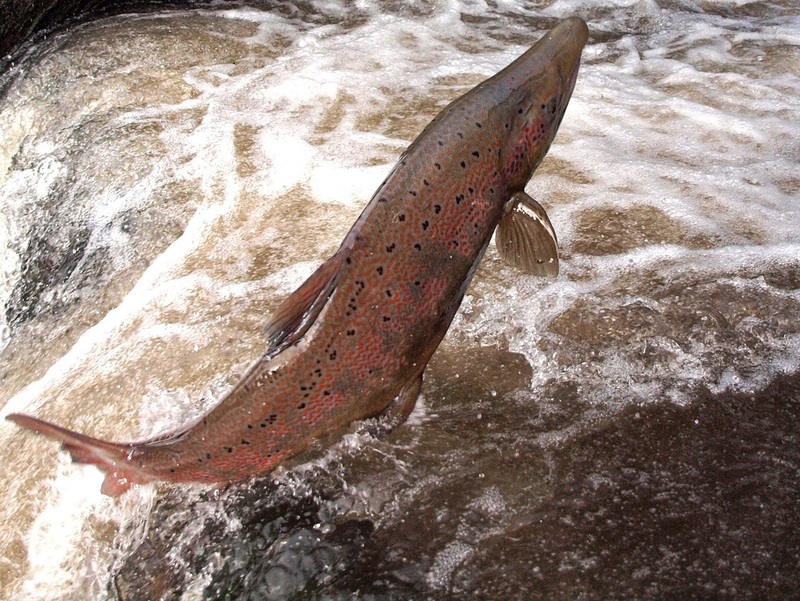 For example fish such as salmon and trout like a mixture of deep pools, fast running shallows and clean gravels in which to lay their eggs. A bendy river develops deep pools on the outside of bends and deposits gravels on the inside. This means the river will naturally maintain itself in a varied and wildlife-friendly state, and will be able to cope better with extreme high and low flows in future. An added complication to - and benefit of - the project was that the meadows either side are some of our best wildflower-rich meadows designated as a Site of Special Scientific Interest (SSSI) and Special Area of Conservation (SAC). There was an obvious risk that these meadows could be damaged during construction, and so the work was meticulously planned and carried out very carefully by a specialist contractor. 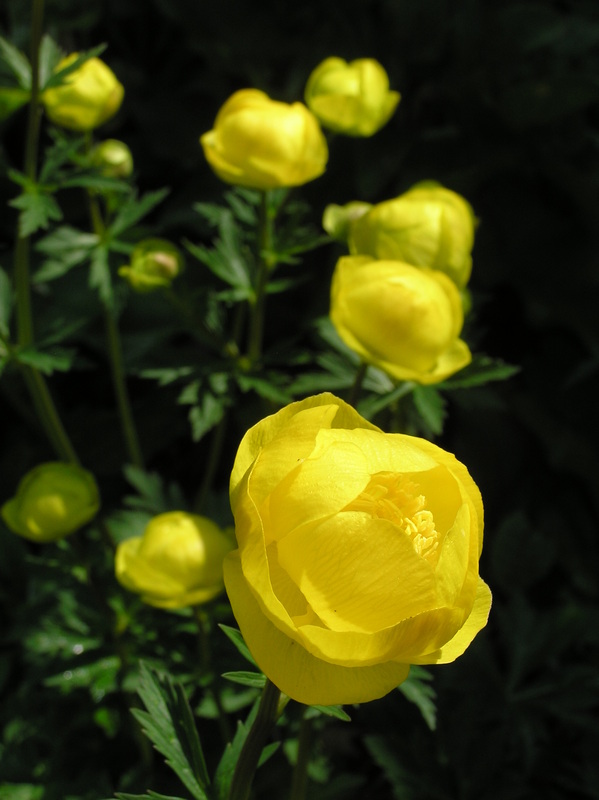 Now we expect the meadows to benefit from the more natural flooding regime, and we expect a rich variety of plants such as wood cranesbill, lady’s mantle, marsh marigold and globeflower to be able to recolonize the banks of the ‘new’ river. The best part of the project has been working with an enthusiastic and dedicated team of people (including my colleague Becky Powell who did a lot of the crucial work). We all worked together to find solutions to the numerous issues that inevitably came up along the way! A recent International Union for Conservation of Nature (IUCN) report describes the importance of rivers in the UK & Ireland for biodiversity. It summarises the damage that river habitats have sustained, and discusses ways in which river restoration can bring benefits both to wildlife and people. 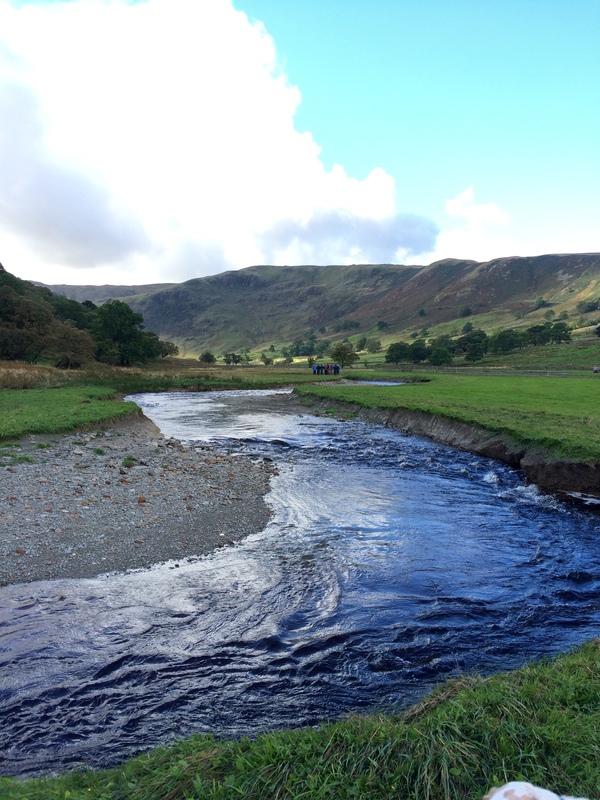 Natural England and the Environment Agency jointly lead a restoration programme for all rivers protected as Sites of Scientific Interest in England- the Swindale Beck work is part of this programme. 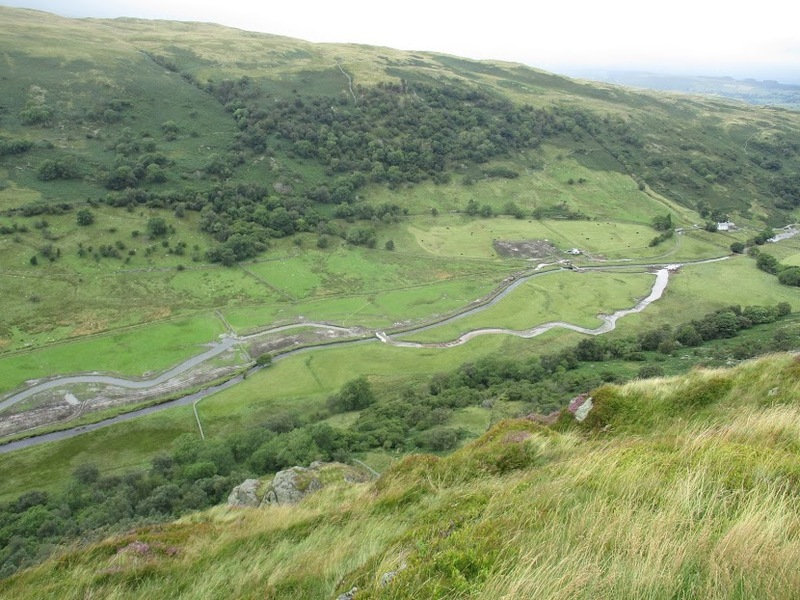 The Swindale Beck is part of the Haweswater reserve that is run by the RSPB. you can visit the reserve page for more information including how to visit the site. Jean Johnston is a Lead Adviser at Natural England and responsible officer for a number of Sites of Special Scientific Interest around Cumbria. Why oh why not have a map showing where this is so one can walk there? Or are you aiming only at metropolitan armchair ecologists?